This paper presents a data-oriented technique for designing a proportional-integral-derivative (PID) controller based on a generalized predictive control law for linear unknown systems. In several control design approaches, a model-based control theory, which requires accurate modeling and identification of the plant, is used to calculate the control parameters. However, in higher-order systems and/or systems with an unknown time delay such as chemical industries and thermal industries, it is difficult to model or identify the plant accurately. Over the last decade, data-oriented techniques in which the online or offline data are utilized have been attracting considerable attention. Designing the controllers for unknown plants based on only the input/output data is the main feature of this technique. In this study, controller parameters are first obtained by using a generalized predictive control law with the data-oriented technique, and are converted to PID parameters from the practical point of view. 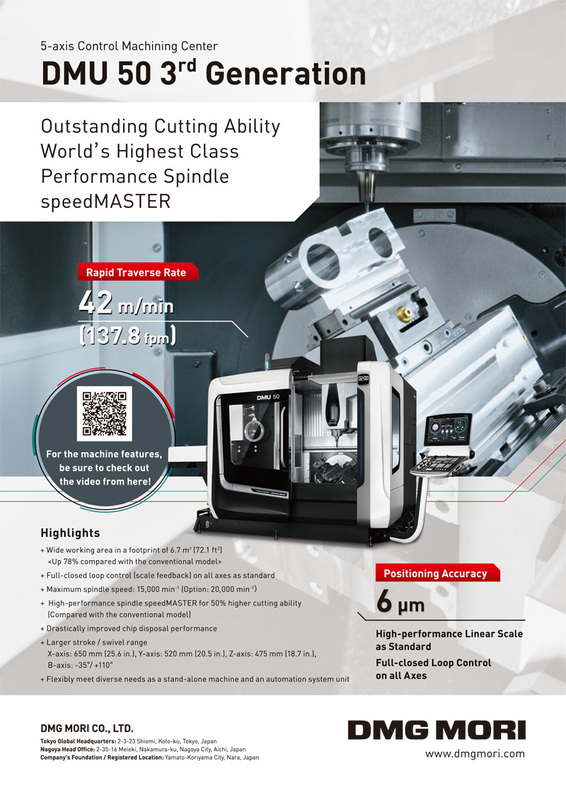 The proposed method is validated experimentally using a real injection-molding machine. The results demonstrate the efficiency of the proposed method. Z. Guan, S. Wakitani, and T. Yamamoto, “Design and Experimental Evaluation of a Data-Oriented Generalized Predictive PID Controller,” J. Robot. Mechatron., Vol.28, No.5, pp. 722-729, 2016. K. J. Åström and T. Hägglund, “The future of PID control,” Control Engineering Practice, Vol.9, pp. 1163-1175, 2001. K. J. Åström and T. Hägglund, “PID Controllers: Theory, Design, and Tuning – 2nd edition,” Instrument Society of America, 1995. T. Yamamoto, A. Inoue, and S. L. Shah, “Generalized Minimum Variance Self-Tuning Pole-Assignment Controller with a PID structure,” Proc. of the 1999 IEEE Int. Conf. on Control Applications, Hawaii, USA, pp. 125-130, 1999. J. G. Ziegler and N. B. Nichols, “Optimum Settings for Automatic Controllers,” Trans. of the ASME, Vol.64, pp. 759-768, 1942. K. L. Chien, J. A. Hrones, and J. B. Reswick, “On the automatic control of generalized passive systems,” Trans. of the ASME, Vol.74, No.2, pp. 175-185, 1952. I. L. Chien and P. S. Fruehauf, “Consider IMC tuning to improve controller performance,” Chemical Engineering Progress, Vol.86, No.10, pp. 33-41, 1990. J. Bo, Q. G. Wang, and T. H. Lee, “PI/PID controller tuning via LQR approach,” Chemical Engineering Science, Vol.55, pp. 2429-2439, 2000. Z. S. Hou and Z. Wang, “From model-based control to data-driven control: Survey, classification and perspective,” Information Sciences, Vol.235, pp. 3-35, 2013. S. Khadraoui, H. Nounou, M. Nounou, A. Datta, and S. P. Bhattacharyya, “A model-free design of reduced-order controllers and application to a DC servomotor,” Automatica, Vol.50, pp. 2142-2149, 2014. M. C. Campi, A. Lecchini, and S. M. Savaresi, “Virtual Reference Feedback Tuning (VRFT): a new direct approach to the design of feedback controllers,” Proc. of the 39th IEEE Conf. on Decision and Control, Sydney, Australia, Vol.1, pp. 623-629, 2000. 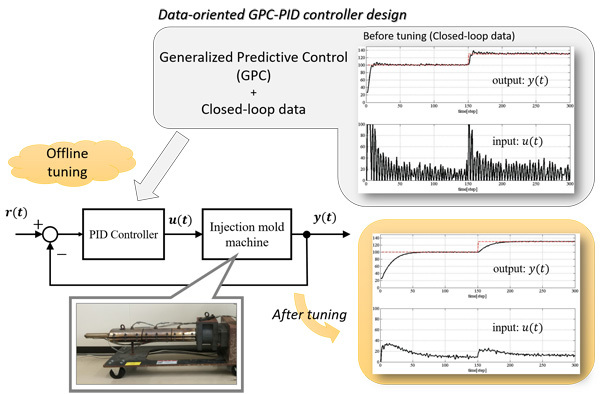 S. Wakitani, S. Hanata, and T. Yamamoto, “Design and Application of a Direct GMV-Based PID Controller,” Proc. of the 2012 Int. Conf. on Advanced Mechatronic Systems, Tokyo, Japan, pp. 541-546, 2012. E. F. Camacho and C. Bordons, “Model Predictive Control in the process industry,” Springer, 1995. S. Wakitani, Z. Guan, and T. Yamamoto, “Design of a Data-oriented GPC-PID Controller based on Closed-loop Data,” The Institute of System Control and Information Engineers, Vol.28, No.8, pp. 350-355, 2015 (in Japanese). D. W. Clarke, C. Mohtadi, and P. S. Tuffs, “Generalized Predictive Control – Part I. The basis algorithm,” Automatica, Vol.23, No.2, pp. 137-148, 1987.